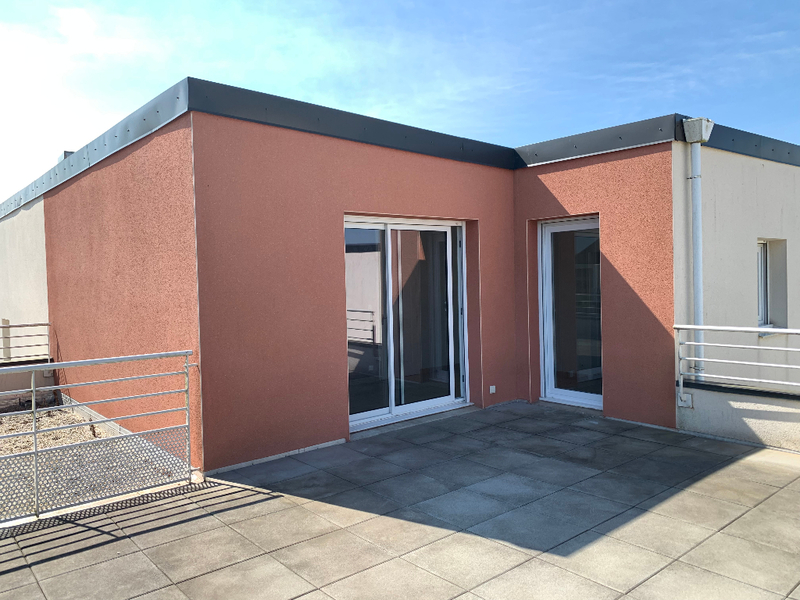 APPARTEMENT T3 RECENT DE 58 M² AVEC TERRASSE SITUE AU DERNIER ETAGE D'UNE PETITE RESIDENCE RECENTE PROCHE DE TOUS COMMERCES, TECHNOPOLE ET PLAGES. HALL D' ENTREE - SEJOUR AVEC PARTIE CUISINE - 2 PLACARDS - 2 CHAMBRES DONT UNE AVEC PLACARD - SALLE D'EAU - WC SEPARE - DEGAGEMENT- CELLIER. LE + : UNE TERRASSE DE 34 M2 - CAVE - PARKING.